Renting a dumpster is easy with Valley Sanitation! 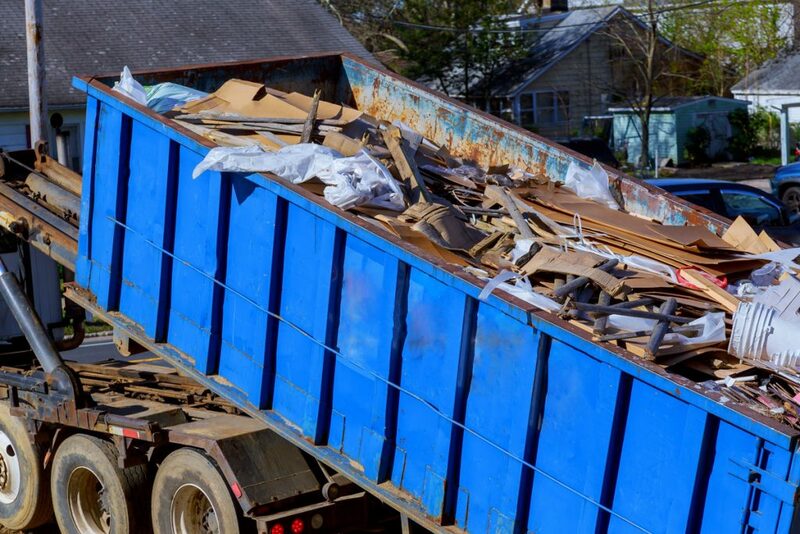 Whether you own a large-scale contracting company or you are a home owner, roll-off dumpsters are ideal for roofing, home renovation, and clean-out projects. We are proud to offer a variety of sizes to suit your particular project. Knowing that time is a valuable commodity, we strive to offer prompt and satisfactory services. During the busiest seasons (between May and October) Valley Sanitation has averaged a 30% faster dumpster pickup and delivery service than other companies in the local industry. We can service daily, weekly, monthly, or as-needed scheduling. If you are looking for a long-term option, we can set up a discounted rental plan as well. Dumpster sizes are estimated. Dumpster width and height may vary but capacity for each dumpster is consistent. Best for jobs like attic or garage cleanup, flooring / carpet removal, yard waste, and small remodels (kitchen, bath). Roughly equivalent to 4.5 pick-up truck loads. Best for medium size home renovations / projects, demolition material, or construction debris. Roughly equivalent to 6 full size pick-up truck loads. Best for small construction, home additions / renovations, major demolition projects, and new home construction. Roughly equivalent to 7 full size pick-up truck loads. Best for largest renovation projects, home additions, commercial construction, or large storm cleanup. Roughly equivalent to 10 full size pick-up truck loads.